Freeriding is such a special sport. Away from the patrolled area, away from the crowds; a rider can find peace and solace in the last essence of “wild”. 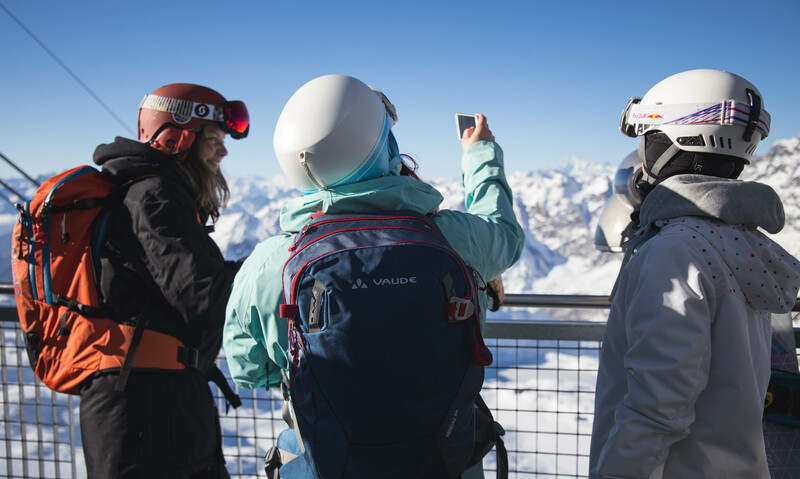 Whether you venture for a 4-hour hike into the unknown or whether you opt for a stretch only a few minutes from the piste, it’s the idea behind freeride that can unite riders into an understanding of the mountain. True freeriders place rules upon themselves and the people they ride with. Some may call them selfish, nerdy? Obsessive maybe? Whatever the lamens may call a dedicated freerider, we know that those words simply mean; safe, calculated, smart, trustworthy. It’s important to take all the information you can source and put it to good use in the backcountry; learn from your peers, learn from pro athletes, learn from YouTube videos, from mountain guides, books and courses. Take all the information to can to arm yourself in the battle against the elements. Every freerider and big mountain shredder aims to work with nature, alongside the mountain, not underestimating its awesome power but also not fearing it’s sheer magnitude. A true freerider can see a mountain face and with a sense of calm and intelligence, that rider can pick a line that will be incredible to shred. This freerider could be you, or your friends but don’t be a follower, be a leader of your own journey; learn all you can to ensure you’re not the weakest link in your group when out there in the elements. You want to bring clever and fun ideas to the table and in the end you and your buddies will have the best day doing what you guys do best - riding powder, fluffy, crusty, wind packed or otherwise. Anyway, at the end of the day, won’t that victory, end of day ice cold [insert favourite beverage here] taste that much better. In this article we will briefly cover some of the most important points. The word briefly should be emphasised as to feel confident in each topic, you should research in far greater detail. But whether you are a seasoned freerider or a newbie, read this, add it to your repertoire and hopefully gain some new or reaffirm some existing knowledge. We have asked some industry experts, athletes and pros, between us we can share some info and ultimately, that is the essence of freeride; share secrets, knowledge and strive for the best line of your life. The fundamentals seem counterproductive, stuff as many important things in there as possible but also keep it light and essential. Don’t worry, it’s totally possible. We have asked around, compared and contrasted and learnt what's truly important in the backpack and why. We are going to strip it back first and kick off with the absolute basics. 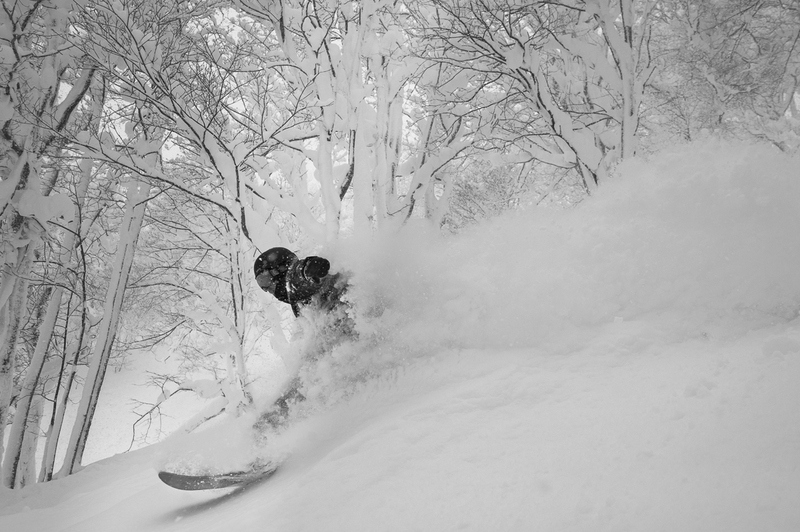 Regardless of what you see in some movies, or on the most popular Instagram posts where a rider gets "mad face shots" of powder without wearing so much as a helmet, we can say with great confidence, piece number one is a Transceiver. The technology has come on leaps and bounds if you haven't bought a new one in the last 5 years or so, consider investing. Transceivers now can find multiple burials, mark and track victims while continuing to search. They have long range and many can give even more detailed info about the victim. 1) Ortovox 3+, this has proved to be a popular choice for a mix of value and no-nonsense reliability. The display is simple and clear, making tracking easy, it is also set up for software updates which is brilliant as the technology is always changing. A really interesting feature is that it can increase the distance from which other transceivers detect its signal making you easier to target. Click Here To Buy. 2) Mammut Pulse Barryvox. The Mammut is a really popular choice when we have asked around, it keeps the tech-savvy rider happy as well as those who want something that’s easy to use with a whole list of features as long as your Black Crows. Although this model is a little more pricey, it deals well under pressure and the range is long. Click Here To Buy. 3) Pieps DSP Sport is a favourite among the newbies as riders who are just gaining confidence in the backcountry. This is also the little sibling to the DSP Pro which is a favourite amongst guides and athletes alike. BUT if you are just riding with your friends, the “Sport” has all the simplistic features you need, along with an easy to use display and lightning quick processor. Click Here To Buy. When it comes to actually using a transceiver, the best way is to head out into an open space with your pals and try them out. Make it a fun exercise, in the afternoon, no pressure; Take it in turns to hide and to seek buried items like backpacks. With regards to successfully using the transceiver in accordance with guidelines, we recommend watching a tutorial like this one from BCA. Notice in this video he uses a “Cross System” to execute the defined search when you are ready to pinpoint your victim in the third stage of searching. Move your transceiver from south to north or visa versa and east to west until you get the lowest reading, as demonstrated by the cool kids at Backcountry.com in this video. Stuck on choosing a shovel or hadn't even thought about the differences or exactly how important it is? Well, maybe this next paragraph will clear up a few things for you. What does the shovel actually do? What makes a good shovel? Plus some model recommendations are thrown in as well. Instead of displacing masses of material in one movement like when digging for gold in the Caribbean or planting roses in the garden, you are cutting and moving the debris. The snow is compressed after an avalanche with many comparing it to tarmac in its consistency and difficulty to work with. With strong and forceful jabs down to break the snowpack, you can then move the debris to clear snow downwards.Those are the basics and the method is covered in more details in this video. Keeping these factors in mind, how do you choose your weapon as it were? We found another useful video that covers the difference in plastic and aluminium models: also delving into what's out there on the market. Talking to friends and savvy locals like the guides we have gathered that BCA does a range of shovels that people trust. A good mix between weight, strength and usability. 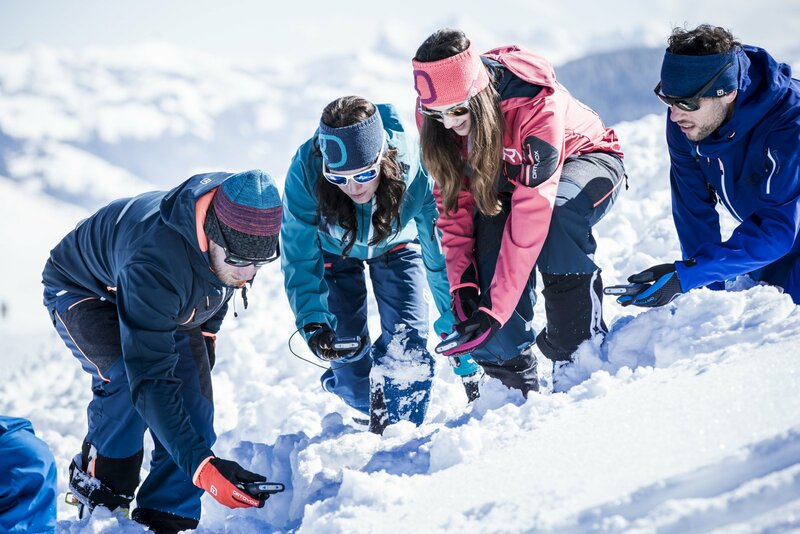 Mammut has also designed some fantastic shovels that may not be the lightest but are robust and trustworthy under pressure. There is an art of sorts, to probing correctly. It’s a tough thing to discuss, in theory, we know what needs to be done once you have got to the second and final stage of tracking, and you grab your probe to feel out your victim. However, continually practising with the probe, just like with the transceiver and the shovel, the actions become second nature. There is the “Circle Method” to consider for really effective probing, this involves being calculated with where and how you probe instead of wasting time and energy on jabbing a stick in and out of the snow. BCA has made this super useful tutorial on how it should be done! What makes a good probe?- Think simple; light and robust, There are aluminium and carbon models out on the market and both have strengths and weaknesses. It’s worth checking your probe before a day out because if it hasn't been used in a while, they can get a bit battered and bruised in your pack, the last thing you want is a probe that's not able to fully extend, that goes for all walks of life. Some advice on how to shop your probe can be found here. BCA is a top retailer of probes but for a good mix of value for money and strength, we have found K2 to be a solid option. Another massively important point to mention is the humble backpack itself. This pack should feel like another limb, not hold you back, give you back pain or look like a turtle shell. There is the airbag no airbag argument, should you invest or can you “make do”. At Thrillism, we are a mixed group, those who ride without the airbag, as that’s what they've been doing for years, old school style. Others are airbag cheerleaders, wondering how people ride with confidence without one. Whichever your school or thought, all backpacks should have a few things in common: They should be comfortable, sitting on the back, in line with the shoulders and hips, breast strap sitting above the breastplate securely but without discomfort and the waist strap sitting on the lower abdomen. Our top recommendations for packs without airbags are: Vaude “Nendaz 25L” super lightweight and comfy. Without a million added extras and pockets that you won’t use, this very simple pack has 3 main compartments of varying size and is compatible with skis and boards for hiking. Next up is the Mammut “Nirvana 25L” with its super durable synthetic fabric that seems really unbreakable. The extra support on the back makes this a very comfortable pack too with plenty of attachments to make board carrying a breeze as well as straps for skis. Mammut also has the padded waist strap as a generic feature which helps distribute the weight more evenly. For packs with the Airbag feature, there is an endless world of possibility!- From ABS to Snowpulse to BCA and Jetforce and other technologies like these, it can be an emotional minefield trying to pick. There’s a super helpful video on youtube that we found talking about all 5 of the top choices on the market. What else should you carry or is that it? There are a few crucial items that can strengthen your backpack essentials. We asked Freeride World Tour rider and Pro Big Mountain crusher Felix Wiemers what he always makes sure to have in addition to the aforementioned, he said “smartphone with enough battery to call the emergency!” which is a solid point, when executing a rescue which we will cover later in the article, having a phone to call for help is imperative. It’s also wise to consider adding a first aid kit into your pack, with parts that are replaced as you go. This can come in handy no matter the situation, whether you are trained or not, keep it with you and watch how useful it can be. Other recommendations include a hydration and food source. In a life or death situation or mid-hike, you will thank yourself later. Speaking of which, you will want to high five yourself when you remember duct tape, a lighter and a swiss army knife for when you need to make repairs, start a fire when camping or to secure leaks. 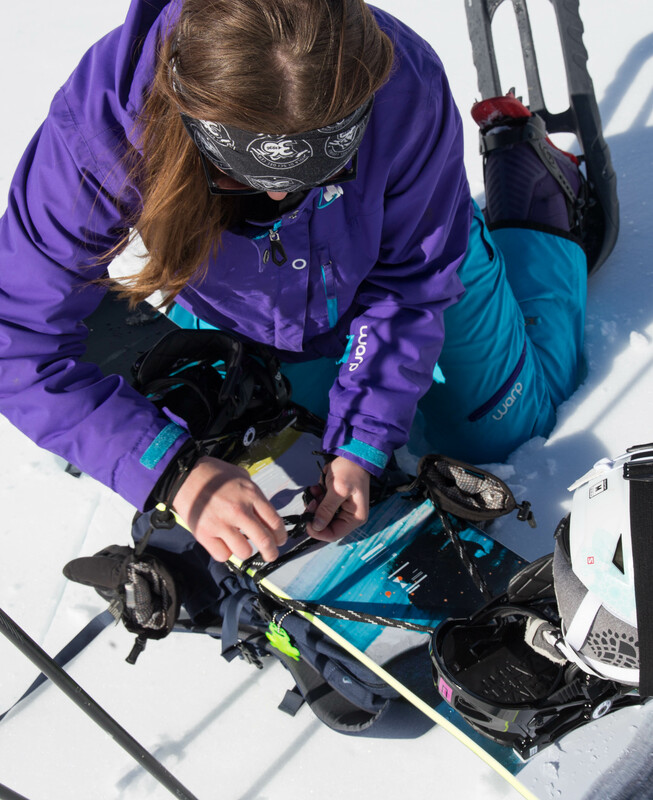 We checked in with the talented and wonderful big mountain pro Jackie Paaso to see what she thought was another important thing to remember. . .”The most important piece of equipment besides a transceiver, shovel and probe would have to be your brain. 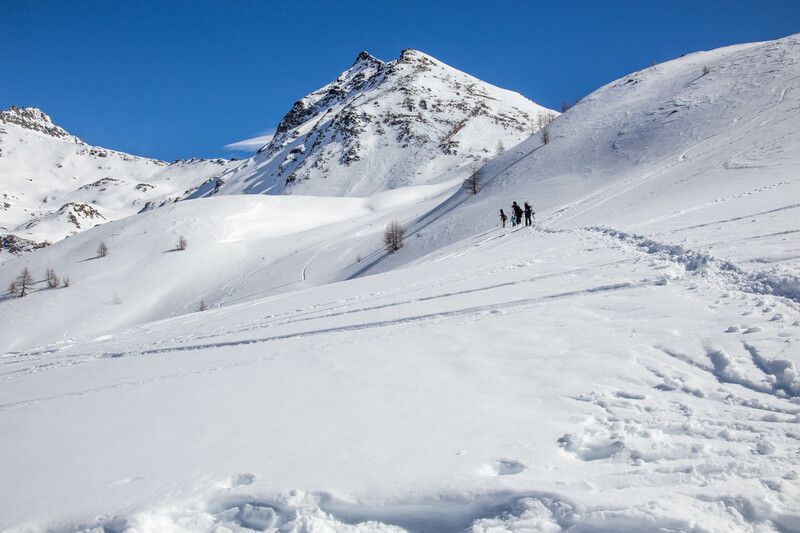 Traveling out into the backcountry or avalanche terrain requires knowledge in order to know what to look out for in order to avoid ending up in a dangerous situation. You can buy all the important tools but without the skills and knowledge to use them and better yet to hopefully never have to use them they are useless.” Never a more true word spoken Jackie! Credit: www.spendalifetime.co.uk Alex Wilson for the #OneOfUs project. 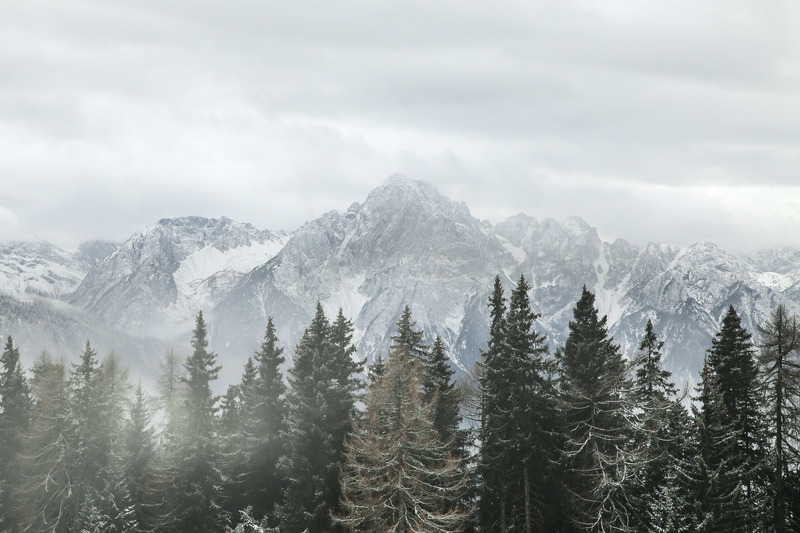 The concept of being able to “read the mountain” may seem a little far-fetched but an ability to read and understand the variables of the mountain is a skill as real and as true as anything else. It is a skill that mountain dwellers strive for, you can be in touch with your surroundings and anticipate the movements of the mountain for your safety and the security of those who you choose to ride with. 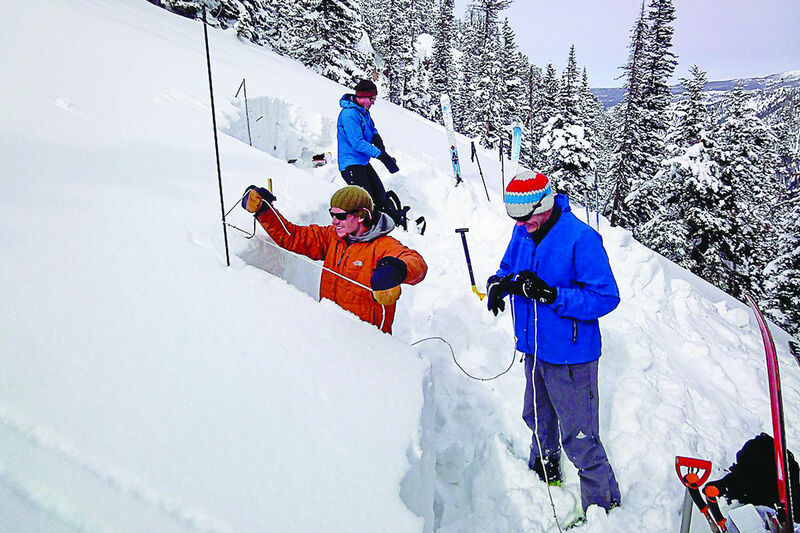 Let’s begin with the basics- What Is The Snowpack? 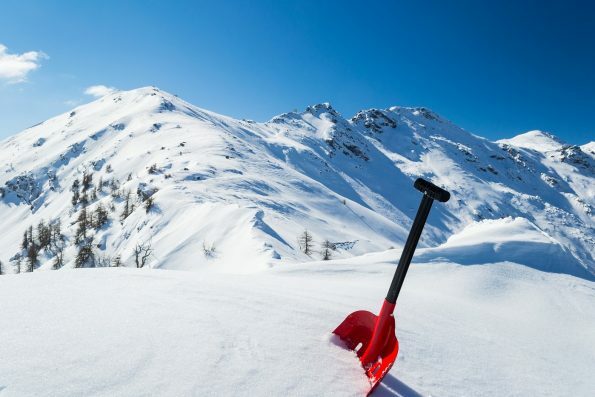 The snowpack is essentially the accumulation of fallen snow that has compressed, through its own weight, causing the snow to become a more solid mass. The snowpack is very unstable even at the best of times. It is affected by everything; more snow, warm weather, cold weather, weight, Sunshine and wind to name but a few factors that can make the snowpack your worst enemy. The essence of being able to read the mountain is understanding the snowpack and weighing up the risk against that all-important reward- the decent. Bearing in mind, this isn't a comprehensive explanation but more a small introduction. You and your crew could begin the day with a snowpack test, check out this video about how to execute that, but if you are in a new resort, unfamiliar with how the snow has settled to this point, you get a better understanding of how the weather and variables have affected the pack. 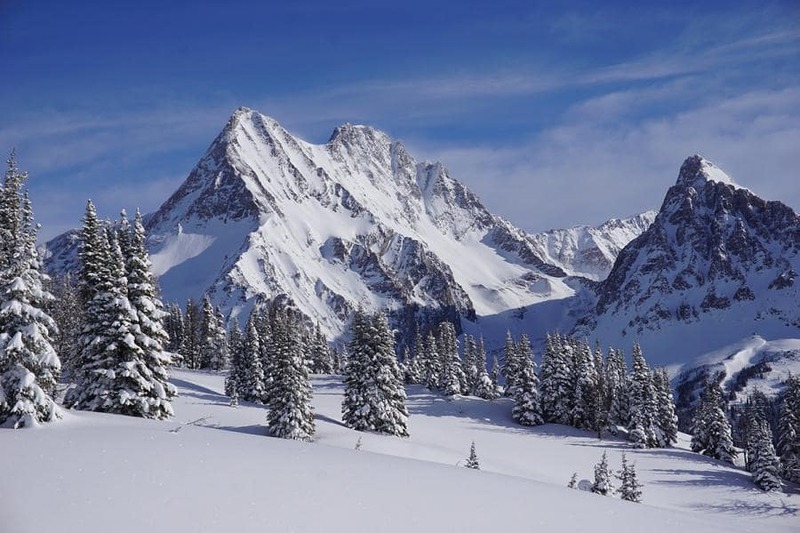 Now if you consider the dream-like conditions of a heavy snowfall, then bright sunshine afterwards (imagine this is mid-season, Feb time for example so the snowpack is well established) this may seem perfect, as long as the ambient temperature is cold, a great crispy bluebird day. But imagine that the temperatures are heating up, pair that with the power of the sun and you have a potentially dangerous situation. These less favourable conditions make the pack isothermal, meaning the sun beats down on the pack all day, moderate temperatures in the morning to more mild temperatures in the afternoon, then the pack refreezes overnight causing the snow to become wet, heavy and very unstable. The sun regardless begins to change the setup of the pack, by either reflecting or melting. As great as the sun and powder may be for your Instagram shots, think about the other factors that can make the sun your best pal or your worst enemy. Let’s now briefly take a minute to nod our trucker caps and beanies to our unpredictable, very moody friend, wind. It’s wouldn't be too bold to say that wind is likely to be considered in the industry as the most considerable factor affecting the pack. Wind redistributes the snow, deposits the light and fluffy surface snow to new and less exciting destinations. Taking the snow from the ridgeline to the lee side, creating build-ups known as cornices over the lee side. This is where you have a wind slab form. Notoriously shaky cornice/windslabs (Check out a great video here) can break at any time, so much as an ill-timed throat clearing sound or simply a skier stood in the wrong place can cause this wind build up to begin tearing down the mountain with a sense of reckless abandon. When you know the weather has been windy, take extra caution and make sure you really assess your surroundings, to take in all the little nuances that could pose a threat to you and your buddies. Don’t let it be a case of the blind leading the blind. When considering how to read the mountain, it’s worth thinking about the most simplistic factor, what does the mountain actually look like or moreover, what does the face look like. We will be covering how to pick your line in little later but this isn't what will be the best descent but what will be the safest, an open face or a valley run? Both show different threats, the snow settles differently and both and if an avalanche is triggered, will react diversely. If you are thinking about taking an open face root first think of the possibilities if an avalanche goes, what will the path likely be, are there any potential triggers along the face; this could be a cornice or a wind slab above to a collection of snow in one area. Is the slope so steep that despite stable weather conditions, that the pack is likely to be very moveable underneath? These are the questions you should be asking. Alternatively, if the slope are more valley shaped, think; are there any potential triggers? Are there any anchors? 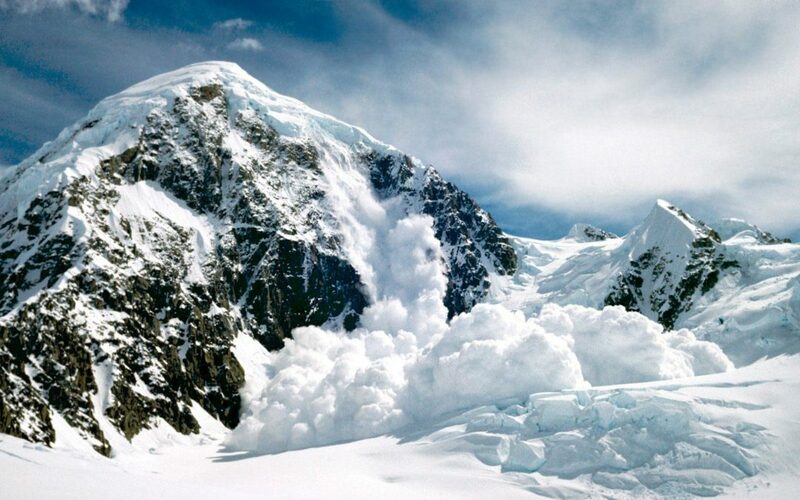 (Anchors literally mean rocks and trees, anything that could disturb the flow of the avalanche, statistically avalanches are less likely to happen on a slope with a lot of anchors close together as they act as stabilizers, BUT they can still happen, plus if you are caught then you will have face to face contact with a tree!) And finally, think about a possible exit and how and where you and your crew will descend. 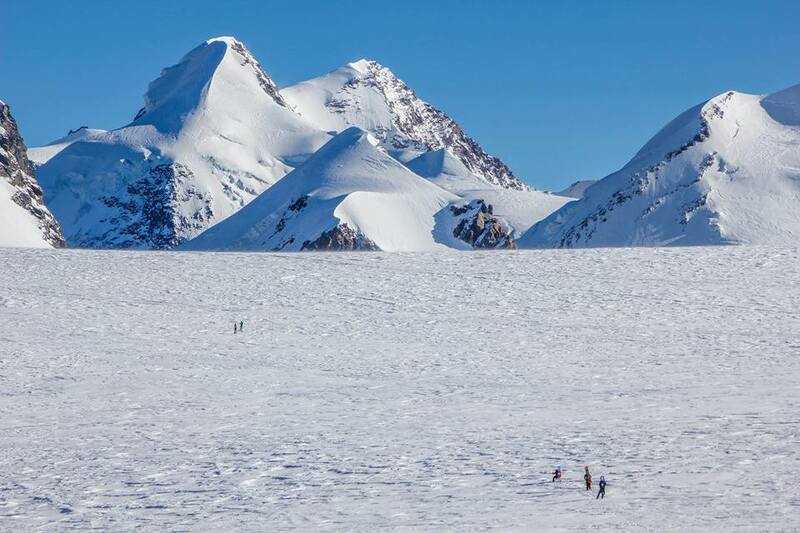 In a valley, the last thing you would want is to ride in the base of the valley and be trapped if an avalanche descends. Is there a clear exit on this route, one that everyone has spoken about and agreed upon. This all falls under the importance of communication. 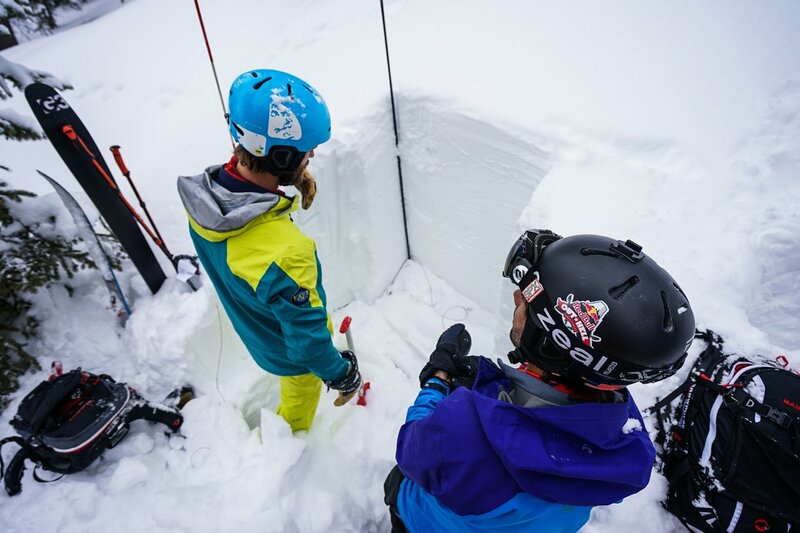 Communication is, without doubt, the most key point to your adventure in the backcountry. Everyone will see the mountain slightly differently, some may be over cautious and others more excitable, it’s taking a mix of these points of views which will end in the best ride for everyone. Everyone must be comfortable with the organization, where are people stopping, a safe spot (check out this video for the perfect example) and who is calling who to drop in. . . making sure you work as a cohesive unit with the mountain as if the mountain was a member of your group. What makes a good line and how exactly do you pick it. Unlike other disciplines in snowsports, there is a long list of variables. In freeride/mountaineering and big mountain, you must be calm, calculated and cleaver with every choice you make. There is a process one must observe when picking a line. If you can start at the bottom of the face, take pictures, study your line like a final exam. You want to take time to understand every nuance of the face: features, anchors, cliffs, drops and crevasses. It is also wise to source (wherever possible) images of the face during the summer, this will let you see how to ground lies including any crevasses that may be covered! It’s not recommended to descend on a line blind, simply arriving at the top of a face after a hike then dropping in. No freerider worth their salt would but put their friends or themselves in unnecessary danger like that, you're living for the thrill and not the wonder “is there a cliff there? Who knows, drop in any way”. Observing the line allows you to open up a dialogue with your buddies about execution of the descent from a logistical perspective, it’s not a free for all, but an organised procession. Communication is again, key!- Such an important factor we simply can’t mention it enough- who drops in first, where will they stop and wait, safe spots, who is next? What are the risks? Plus which one of your pals will be on photo duty, if you don’t post it on IG- did you even drop in? Do you even ski bruh? . . . . . We digress, but remember, this is supposed to be fun; digging someone from an avalanche as you can imagine, isn't fun! So be smart and you and your pals will be riding happily for a long time to come. There is one thing to remember above all the other factors mentioned above, a point that Pro big mountain skier, Jackie Paaso reminds us of, “One piece of advice to freeriders old and new would have to be never be ashamed to turn back. Knowing when it's time to head home is important to maintaining a long and healthy life in the mountains!” So, trust your gut and if you are not feeling 100% then turn back and choose another line. Okay, now to discuss what the "if". What if the worst should happen and thousands of tons of snow comes barrelling past you, with your friends caught up, what do you do? How do you execute an effective and pragmatic rescue and what would you do if you were buried? Are there any techniques that can prolong your chances of survival? Let’s break it down efficiently, so the avalanche strikes what are the steps, the plan of action? Step 1) Stay calm, making impulse decisions will not benefit anyone. Take some deep breaths and watch the avalanche VERY closely. Take a quick look around to see if any of your friends are missing. Shout to everyone to stay still exactly where they are. Keep breathing big deep breaths and try and spot your friends if you are missing anyone. Step 4) It’s time to track, ski down as close to the area where you believe the victim is buried and start searching for your victim. Refer to section 1 for the best techniques. Step 5) When you have the lowest reading, start probing. Once again you can refer to the first section for the best methods of probing and marking. Step 6) Digging, how do you move the most snow quickly, how to locate the head and other techniques can be found in the first section and the corresponding videos we have shared with you. A rescue situation will be one of the most intense moments of your life. Take what you feel when you watch the above two videos in this section and amplify it by ten to understand how you may react when the worst happens. That being said, what is one to do if you are the buried party. No one is invinsible, no one is immune to the power of mother nature and certainly not from the awesome force of the mountain. 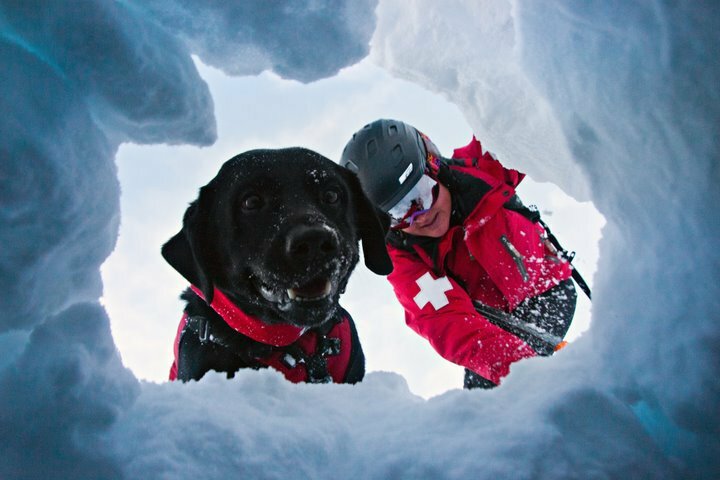 Every back country rider will either have experienced an avalanche first hand or know someone who has, we are certainly no strangers to death in relation to this, regardless of skill or knowledge. Nature will come and bite you in the salopettes but netherless you must still try to do all you can to avoid the worst. This includes the event of you being buried. What can you do? The snow has started to fall, if you can, of course the aim is to clear the path, move immediately to the side as quickly as possible, if you can’t the next stage is when the jury is out. Some rescue crews recommend you fight to remain on the surface, by a swimming motion or battling with out cast arms. Others (and the method we are inclined to agree with) is to accept your fate, remain calm above all and let the avalanche take you, the more you relax and the less you resist you can minimise injury and conserve vital energy. Instead your focus should be on creating an air pocket around your mouth and nose. Put your hands over your face at a distance that's as big as possible. When you become buried, this air pocket permits the flow of clean air which allows extra vital minutes for your crew to rescue you. When you are buried, the stay calm narrative remains; take long calm breaths, the shorter the breath the more likely you are to exhaust yourself and lose consciousness. The deep breaths allow you to stay alert enough to call out when you hear the crew are near and respond to questions. When you are buried you will be unable to move, you are cemented in place, moving will aggravate injury and make the situation worse, stay still and concentrate on listening and breathing. As long as your transceiver is on, (which you will have checked at the start of the day) then you have done all you can. What's the moral of the story? Don’t ride backcountry? Nah, forget that, how could we give up skiing and snowboarding for the risk? Riding these powder conditions is whats gives us air to breathe, what feeds our muscles, what provides every sense with stimulation and elation. Choose your crew wisely, your life is in their hands and theirs in yours, you must respect each other as equals, no numbers individuals or captains, you are all vital cogs in the inner workings of your group's dynamic; that’s what makes riding with them so special. Be aware, arm yourself with all the knowledge possible, read, watch and listen and above all. . . . stay safe out there! 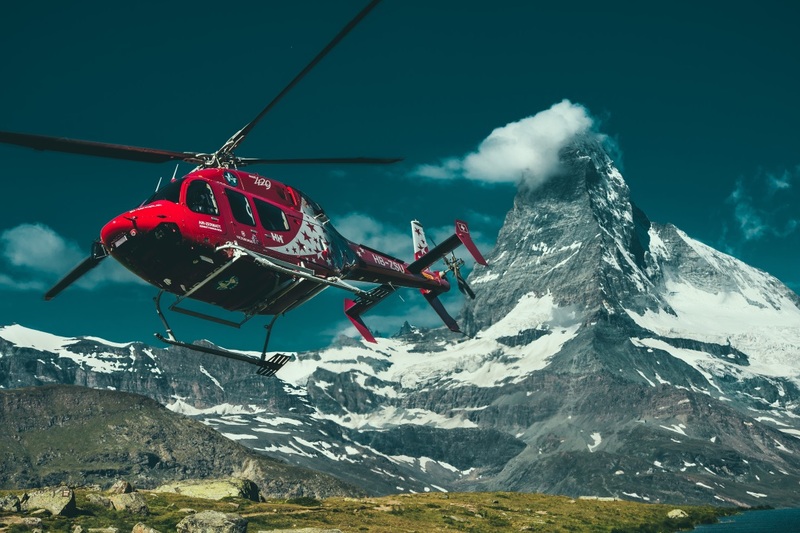 If you spend any time it the backcountry, anywhere in the world, skiing, hiking, climbing etc then you need to read this article. That's why we wanted to touch base (pun intended) with the incredible folks at Air Zermatt, where their unmissable red helicopters are flown over our favourite mountain with a knowing and watchful eye, leading us to a massive amount of curiosity about the work they do and how meaningful it is to all of us who are passionate about the mountains. Introducing Janice Power Photography. Janice is an up and coming talent in the adventure photography community. 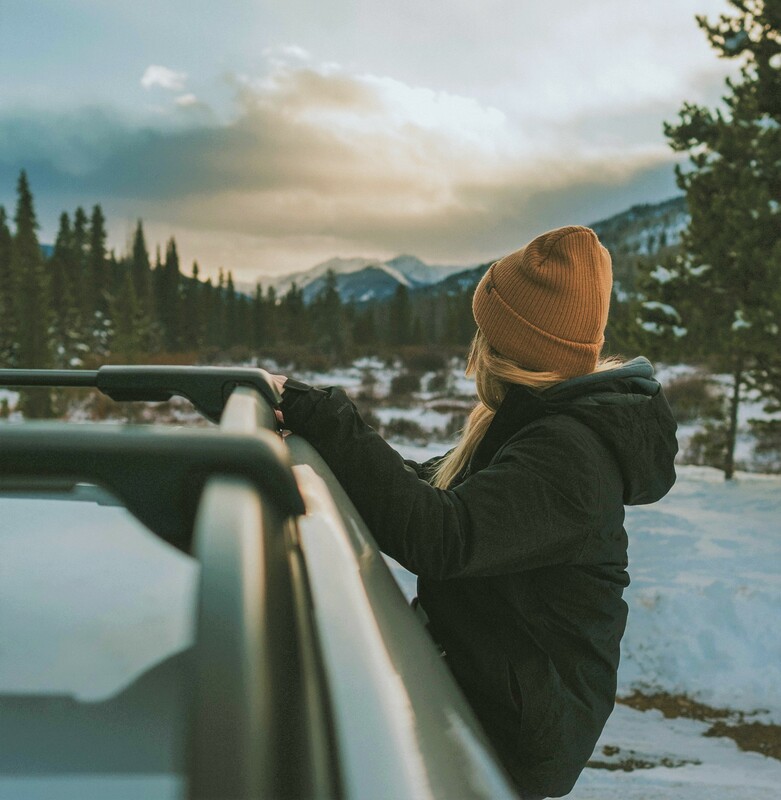 With a level of authenticity at the forefront, a passionate snowboarder, hiker and overall lover of the outdoors, Janice is proving that even in a saturated and overcrowded industry like #AdventurePhotography, that she can hold her own.